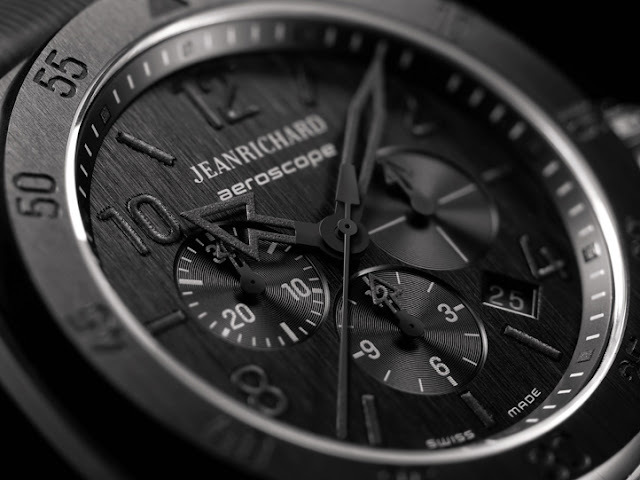 JeanRichard just released a 500-piece limited edition of its Aerospace model called Neroscope for the full black coating (nero means black in Italian). Inspired to the style of cockpit instruments, the Neroscope plays with all the nuances of black. 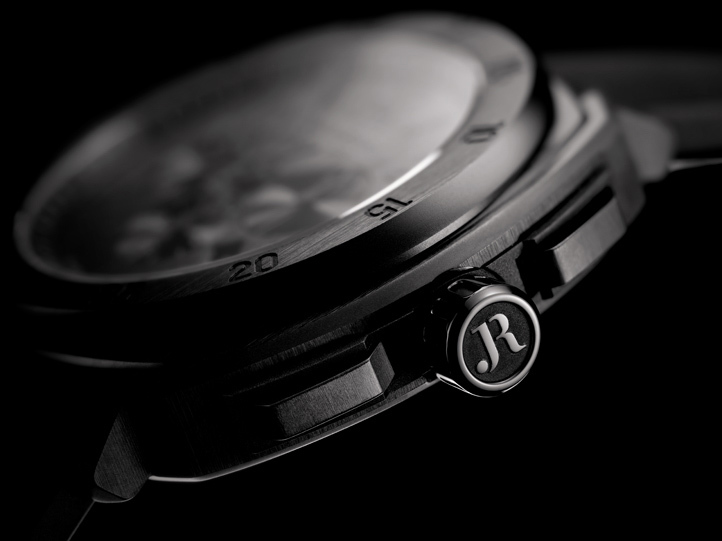 The 44 mm case is made of titanium and coated in night-black DLC (Diamond-Like-Carbon). The cushion-shaped design has been enhanced by alternating vertical satin and sanded finishing on the flat surfaces and bezel respectively. The all-black look extends onto the vertical satin-brushed dial, with circular satin-brushed counters and Arab numerals, indexes and open-worked arrow hands with black luminescent coating. 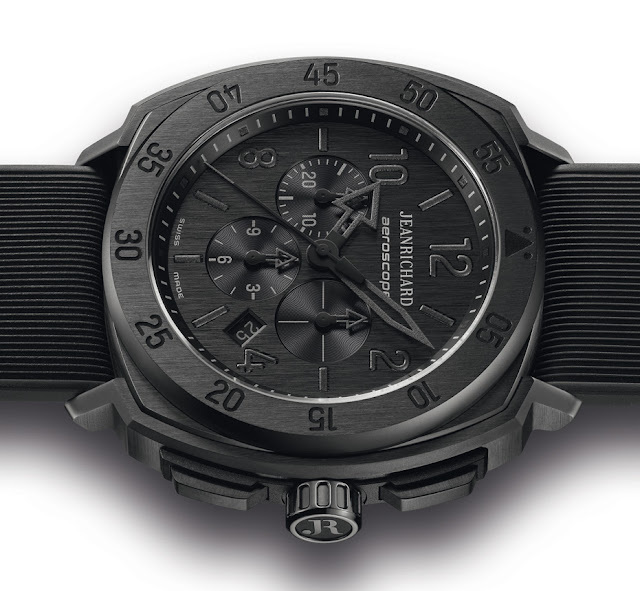 The pushers in carbon fibre and the large crown make easy to set the time and operate the chronograph functions. 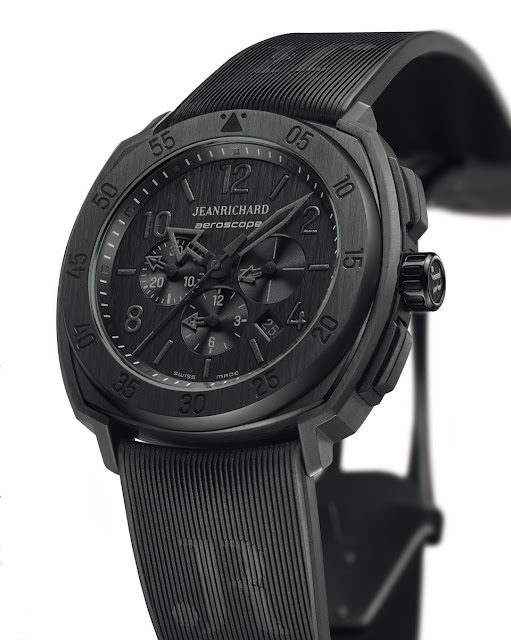 The automatic chronograph movement beats at 28,800 vibrations per hour and offers a water resistance of 42 hours. The watch is water resistant to 100 mt and comes with a black rubber strap with a double deployment clasp.